Last week we posted some totally amazing minimalist kitchens. This week we’re offering some minimalist tips on how you can achieve the minimalist look in your kitchen. 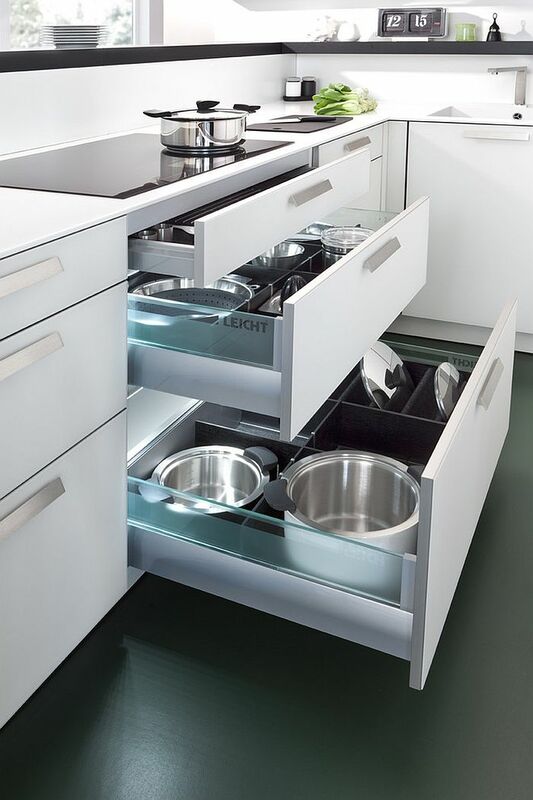 Bear in mind that a minimalist kitchen doesn’t only look good but it helps you keep your kitchen clean. If there’s less clutter, there’s less dust which means less cleaning – it’s a win win situation! This tip has the biggest impact, but is probably the hardest one to stick with. Your kitchen is often the heart of your home and where you might find yourself dumping a lot of your things at the end of the day. As hard as it may seem at first, resist the urge to put your stuff on the kitchen benchtop. Instead, set up a place (preferably near the door) where you can offload. Pack away any appliances you don’t use often (blender, waffle maker, toasting machine, etc.) leaving only the essentials on your benchtop (usually a coffee machine/kettle and toaster). A lot of notes, reminders, brochures, etc. end up on fridges. This can often make the kitchen look cluttered. Rather than pinning your reminders on the fridge, pop them into your phone or make use of a chalk board – this will also help add some character to your kitchen. Hidden fridges can also keep a minimalist look. Go through your cupboards and drawers and give away or donate any items you no longer use. This will create more space for you to keep more organised. Stick with one interior design style (modern, contemporary, industrial, etc.) Mixing up too many styles can start to look messy. Avoid placing too many ornaments or decor around the kitchen as these only create busyness and collect dust. Are you working on achieving the minimalist look in your kitchen? We can help. Adelaide Outdoor Kitchens specialise in affordable, custom made kitchens for home owners wanting a clean and modern look in their kitchen. Get a FREE quote today!